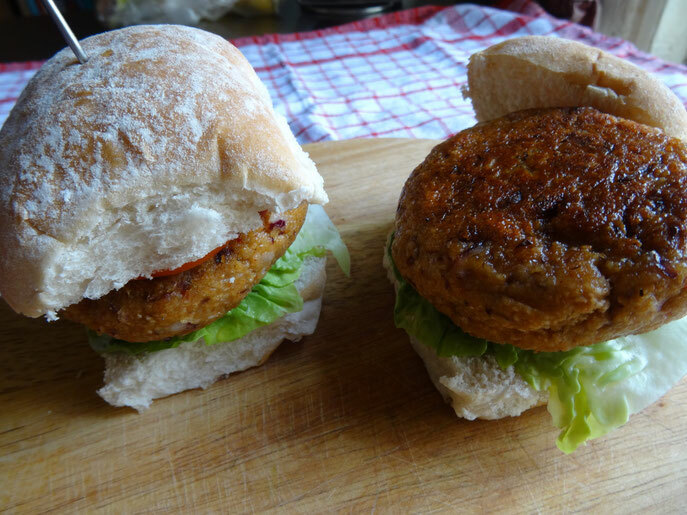 Some veggie burgers I have tried have been a bit dry & lacking in flavour so I was inspired to create my own! 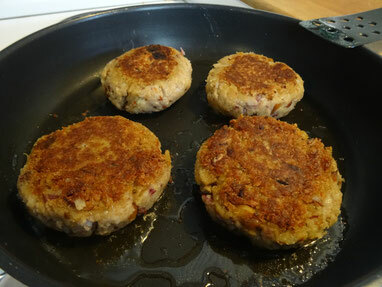 Have a meat free night once a week & try my Veggie Bean Burgers. If you don't like cumin add some chilli powder to spice it up a little. You won't need egg to bind as the roasted pepper & beans are quite moist & work with the dried breadcrumbs to bring the mixture together. Lay the beans out on to some kitchen towel to get as much water off them as possible. 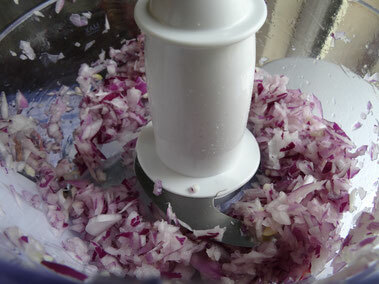 Place the onion quarters in a food processor & whizz until chopped. 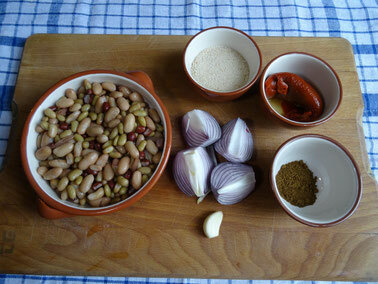 Add the beans, red pepper, garlic & cumin & pulse until roughly chopped, you want the beans to be a little chunky not mushy! 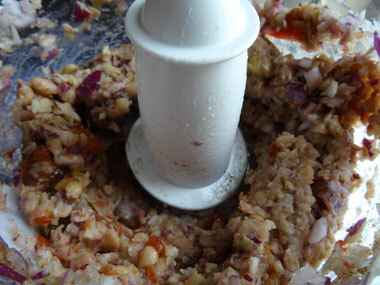 Transfer the mixture to a large bowl & add the breadcrumbs, salt & pepper. 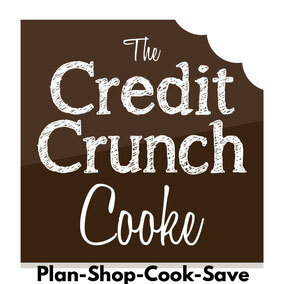 Mix together with a wooden spoon or preferably your hands! Using wet hands (so it won't stick!) 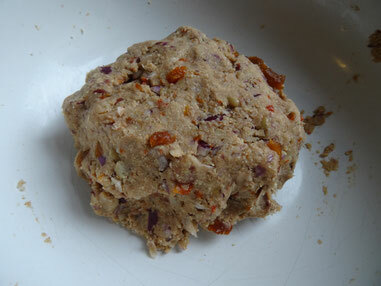 divide the mixture into 4, roll into balls then flatten into a patty. 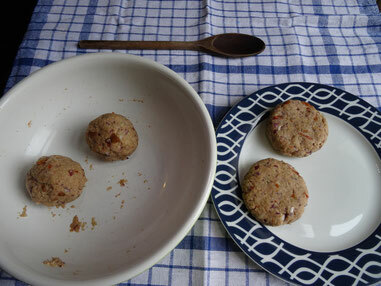 Place the patties onto a plate, cover with cling film & chill in the fridge for 20 minutes. Heat some oil in a frying pan over a medium-high heat & cook the burgers for 5 minutes on each side. Serve in buns with lettuce & sliced tomato.